WHEN: Sunday, December 9, 2018 from 1:00 p.m. to 4:00 p.m. Relish the luxury of having the beach in your backyard! 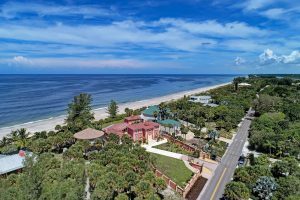 Walk a few steps from the brick paver lanai of this beach home to enjoy powdery shores and azure waters of the Gulf of Mexico, particularly the widest beach area on all of Manasota Key. 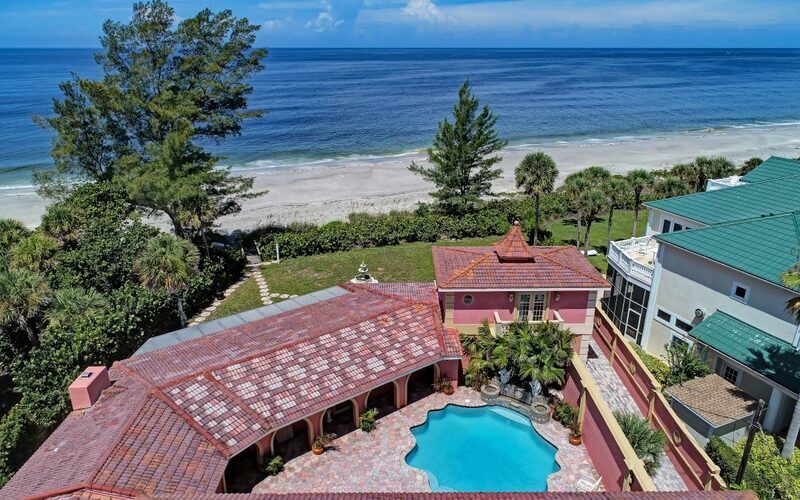 This Gulf-front estate is in an ideal location, situated on more than a half-acre (with 100ft. of direct beach frontage), waiting for you to appreciate it as is, renovate or begin your dream home. Two separate homes encompassed by a courtyard pool. 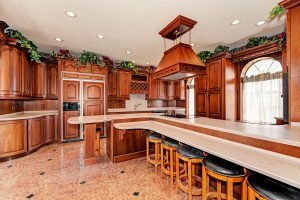 Separate kitchen off of the pool area as well. Recent updates include four new air-conditioning systems (2018), newer roof (2008) and resurfaced swimming pool. The private, gated entry and stone walls surrounding the property create a wonderful feeling of seclusion. 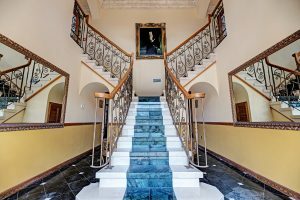 The main home and guest quarters wraparound a charming, open courtyard (offering its own poolside air-conditioned catering kitchen) for effortless outdoor entertaining. Captivating sunset views stretch on forever from the various tiled terraces and the west-facing guest residence. 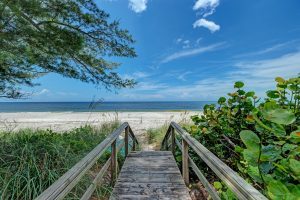 Manasota Key Beach is a gorgeous nine-mile stretch just south of Venice. Residents adore a beach-to-bay lifestyle with water sports and activities, lovely shopping, dining locations, the Manasota Beach Club (amenities with membership only) and Stump Pass Beach State Park within biking distance. One could also build onto the home – ask us for a copy of renovation plans for additional garage, bathroom or more 2nd level living area.